Designed with precision, this pair of dungarees presented by Life will be an ideal choice for all the fashion conscious women of today. It has been crafted from a good quality fabric that will provide you with utmost comfort all day long. Besides, it features a distressed effect along with five pockets that add to the design. 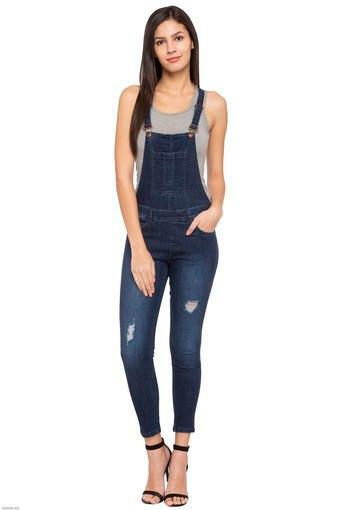 Fetch compliments for your dressing sense by wearing this pair of dungarees on any casual hangout with friends or family. You can wear it with any tube top and heeled sandals to look fashionable.